Is Austerity Breeding a New Generation of Political Terrorism in Greece? 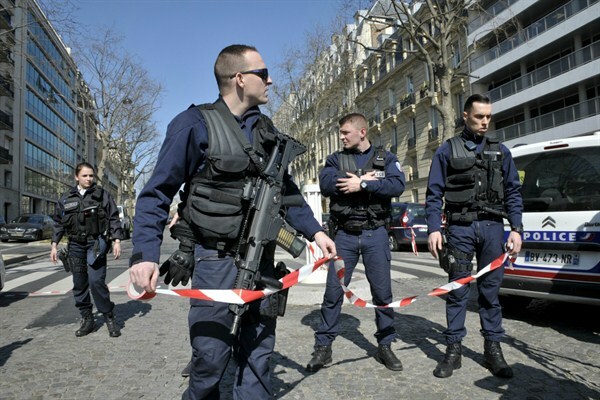 A letter bomb presumably containing handmade explosives went off after being opened at the offices of the International Monetary Fund in Paris, March 16, 2017 (Sipa via AP Images). On March 16, a letter bomb addressed to Germany’s finance minister, Wolfgang Schauble, was intercepted in the ministry’s building before it could go off. Its sender, according to the return address, was Adonis Georgiadis, the deputy leader of New Democracy, Greece’s right-wing opposition party. At the same time, a similar letter-bomb actually exploded at the offices of the International Monetary Fund in Paris, slightly injuring a staff member. This one, too, had been posted under the name of a New Democracy politician.